The Ohio weather can be tough on any home. 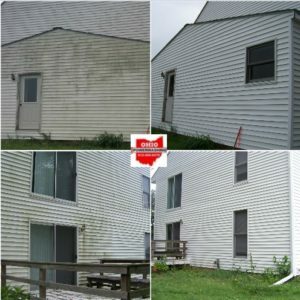 The warm, wet climate is perfect for the growth of mold, mildew, and algae on the exterior siding, roofs, sidewalks, decks and other surfaces causing coatings and surfaces to break down. 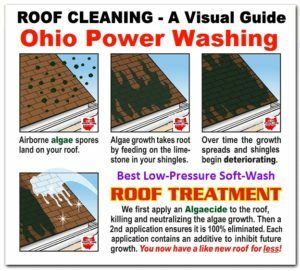 Using advanced pressure washing systems and solutions, the Ohio Power Washing team can remove these growths as well as almost any stain or spill. We start by applying an environmentally friendly cleaning solution, that works amazingly well at killing all mold & mildew, and it is safe around your pets and landscaping. We then rinse the house using moderate pressure to have your gutters, soffits, windows, and walls looking great. Whether its Asphalt Shingle, Concrete Tile, Cedar, or Metal Roofing. Our process uses an environmentally friendly chemical and a hot water pressure cleaner adjusted to a low pressure setting. This effectively removes a black bacteria commonly found in the Midwest called Gloeocapsa Magma. Our gutter cleaning services include gutter brightening cleaning the face of your gutters. We also offer gutter debris removal and flushing services which can help to protect your home’s water drainage capabilities and prevent damage. It is important to properly care for your patio, especially during high traffic times and the heat. Proper care will ensure the longevity of your patio areas and a lesser need for full replacement if they become completely unusable due to decay and damage. 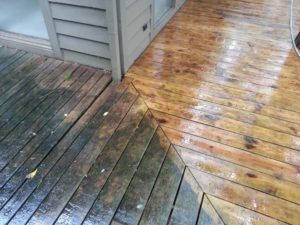 Whether its Composite, PVC, Vinyl or Wooden Decking, our process removes Dirt, Grime, mold and mildew while keeping your landscaping healthy. We use a moderate pressure setting that will not damage the Decking, but will have it looking as good as the day it was installed. 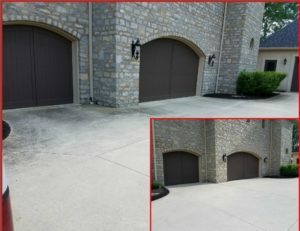 Driveways catch everything, Dirt, road grime from your tires, salt, mold, mildew, and sometimes even oil or grease. Our driveway cleaning begins with an application of concrete cleaning solution. 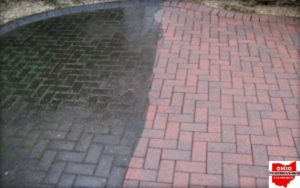 We then scrub the driveway with our professional grade high pressure concrete surface cleaners to leave your driveway looking its absolute best. 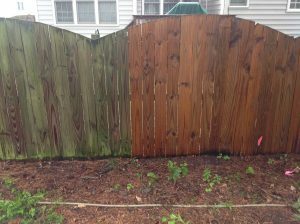 Whether its PVC, Vinyl or Wooden Fencing, our process removes Dirt, Grime, mold and mildew while keeping your landscaping healthy. We use a moderate pressure setting that will not damage the fencing, but will have it looking as good as the day it was installed.